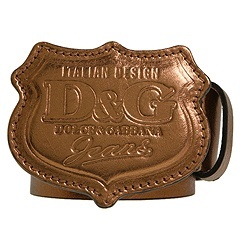 Fashion-forward leather belt and embossed leather covered buckle. 1 1/2 wide. Single keeper. Made in Italy. Free shipping in the USA.